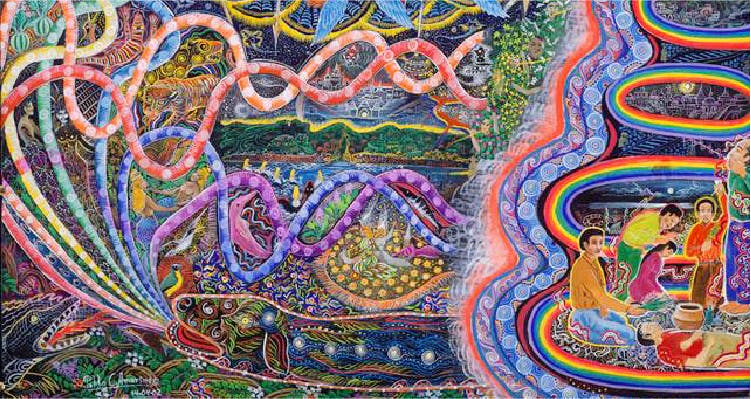 Spiritual experiences, dreams and travels are what drive Luke Brown aka Spectral Eyes to create tangible versions of his thoughts. His art, a combination of digital and painting mediums, is usually a representation of the human form, but in a completely other-worldly, ethereal light. He also jots down his art in the form of tattoos.